2012-2013: 8 Performances of PENELOPE in North America! The 2012-2013 season will feature eight significant performances of Penelope in North America, all featuring Shara Worden. On October 11 and 12, 2012, the Kitchener-Waterloo Symphony Orchestra of Ontario, under the direction of Edwin Outwater, will present two performances of the work. 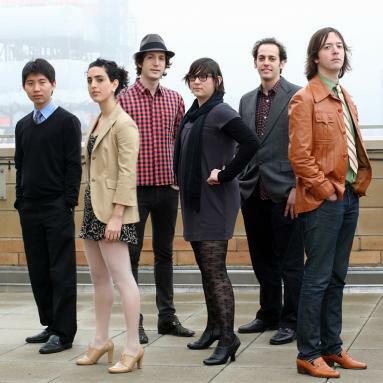 February 2 and 3, 2013 will see two performances with Portland, Oregon’s chamber ensemble Fear No Music. On February 26 and 27, 2013, the St. Paul Chamber Orchestra and the Walker Art Center in Minneapolis, Minnesota will co-present two performances with yMusic in a boundary-defying concert series called Liquid Music, curated by Kate Nordstrum, which includes the likes of Laurie Anderson and D.J. Rupture. On February 28, Carleton College will present a performance with yMusic in Northfield, Minnesota. In March 2013, the Indianapolis Symphony Orchestra will present the work in Indianapolis, Indiana. More performances are on the way. For information on booking Penelope, please contact Curt LeClair at curt.a.leclair@gmail.com. Posted in Uncategorized | Comments Off on 2012-2013: 8 Performances of PENELOPE in North America! The quietly devastating song cycle Penelope begins with an unexpected homecoming. A man returns to his wife’s doorstep after 20 years in an unnamed war, suffering brain damage– a shadow of his former self. The woman takes this mournful figure in gravely, sorting through her ambivalence, bitterness, and grief by reading to him from Homer’s Odyssey. The story’s parallels to their lives– a husband striving heroically over vast distances and years to return to his wife– become a psychological probe for the woman to sound the depths of her shell-shocked husband’s ruined mind. Speaking to him through the poem, she is able to gently coax him back from oblivion. This eloquent meditation on death, memory, being lost, and homecoming is the work of three women. Playwright and poet Ellen McLaughlin wrote the incisive lyrics; Sarah Kirkland Snider composed the dreamily disquieting score; and Shara Worden, the smoky-voiced contralto of My Brightest Diamond, sings it. Together, they render the titular woman’s voice with unsettling clarity. 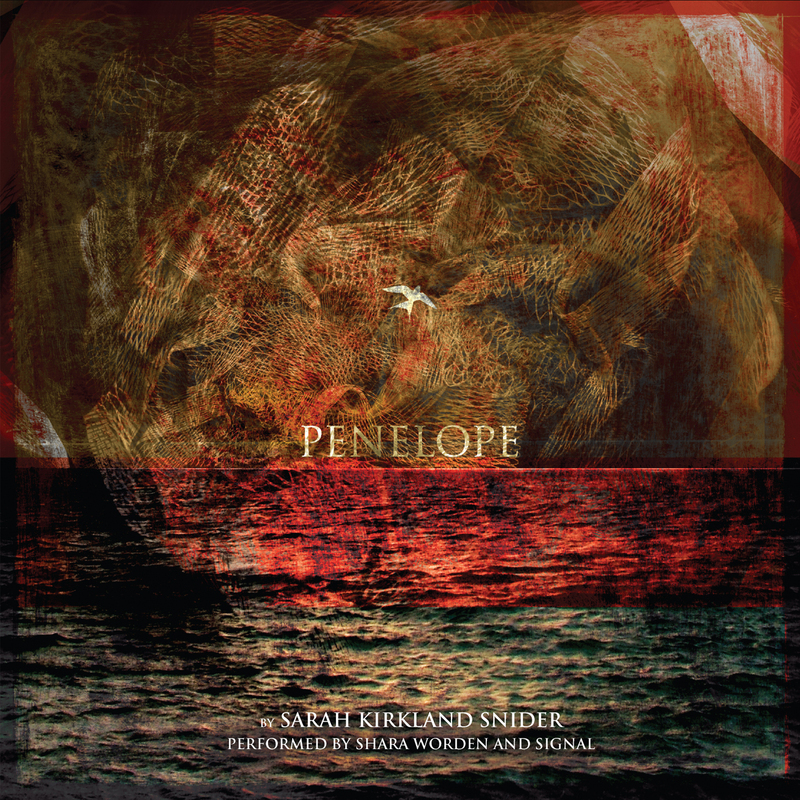 Penelope is a gorgeous piece of music, but it is more– it is also a hauntingly vivid psychological portrait, one that explores a dark scenario with a light, almost quizzical touch, finding poetic resonances everywhere. Snider’s score, written for the new-music ensemble Signal, is the work’s worried heart. Penelope lives entirely inside the heads of two people who can’t communicate, and her music, coursing with mute anxiety, reflects that solitude. The strings hover like low-hanging fog, repeating a few harmonically troubled chords in softly insistent strokes– the veil of confusion that clouds the man’s memories, perhaps, or the heavy silence that settles in between the newly estranged married couple. This fraught suggestibility between music and theme takes Penelope deep beneath your skin. On “This Is What You’re Like”, Worden’s character tries to remind her husband of the man he once was; when she sings the line, “you are a man who, when the music dies away, you keep on dancing,” the music stumbles briefly into a few bars of a half-remembered waltz. The story opens on the woman’s house by the sea; a lapping and receding violin figure traces the shore while quiet gull-like cries circle overhead. Snider’s music lives in a netherland between richly orchestrated indie rock and straight chamber music, an increasingly populous inter-genre space that, as of yet, has produced only a few clear, confident voices. Snider is perhaps the most sophisticated of them all: No matter what perspective you bring to this album, it bears profound rewards. Shara Worden’s eerily poised singing will raise the hackles of St. Vincent fans, while Snider’s ambiguous sense of harmony might put classical listeners in mind of Charles Ives’ similarly memory-haunted Three Places in New England or Arvo Pärt’s elegant simplicity. The work doesn’t straddle a stylistic crossroads so much as swirl together artistic currents, creating a slipstream where electric guitar, chimes, strings, drum kit, and subtle electronic touches interchange fluidly. There is an obsessive quality to Penelope‘s cellular, repeating mini-melodies, and it is echoed in McLaughlin’s mantra-like lyrics. Songs hinge on poetically elusive but piercingly direct turns of phrase– “Can’t you do that?/ Can’t you hide me, God?”; “The world is never done with you/ The world wants her travelers to stay lost.” Worden sings these words with enigmatic wisdom, investing something as vague as “I am known for who I am” with palpable regret. McLaughlin’s words speak with wry frankness about the burdens of waiting on, and caring for, men, and this touch makes Penelope a feminist story, a sly reappraisal of a male-centric tale on the order of Jean Rhys’ Wide Sargasso Sea. Like a siren song, it cloaks rocky edges in something soft and lyrical. Beneath the placid surface, you can hear the sound of one woman’s thoughts, rendered with such care and intimacy that you can sense her staring out of the record back at you. Penelope Tops Time Out New York’s Best of Classical 2010 List! Penelope appears at the top of Time Out New York‘s Best Classical Albums of 2010 List! Humbled. Critic Steve Smith writes: “A potent melding of classical poise and alt-pop punch, this dreamy song cycle was the year’s most affecting creation. Accompanied by new-music dream team Signal, vocalist Shara Worden mesmerized.” Thrilled to see New Amsterdam labelmates Victoire (Cathedral City) and Matt Marks (The Little Death, Vol. 1) there, too! Posted in Uncategorized | Comments Off on Penelope Tops Time Out New York’s Best of Classical 2010 List! 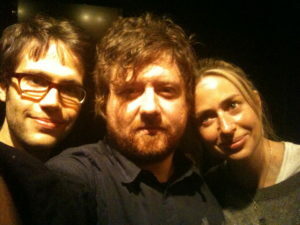 NPR Names Penelope Among the Five Best Genre-Defying Albums of 2010! Hurrah! And congrats to Shara, who made the list twice (she also sings on the Clogs album! ), and actually, is thanked in Laurie Anderson’s liner notes, so perhaps that’s three times? Posted in Uncategorized | Comments Off on NPR Names Penelope Among the Five Best Genre-Defying Albums of 2010! Penelope Named textura magazine’s No. 3 Album of 2010! Penelope has been named No. 3 Album of 2010 by textura Magazine on their list of the Top 10 & 20 Albums of the Year! My New Amsterdam cohorts and I have long admired textura for its standards and integrity, so this is a great honor, especially to be in the company of so many innovative musical creators. Posted in Uncategorized | Comments Off on Penelope Named textura magazine’s No. 3 Album of 2010! I have been slow to post news here, but so much has been afoot in the world of Penelope! Following the release of the album October 26, we’ve been fortunate to receive some wonderful press from both the classical and indie rock/pop worlds, which has been gratifying and in some cases revelatory. Ellen, Shara, and I have been amazed by the level of engagement and rigor with which many journalists are listening these days! It’s always thrilling when someone else’s perspective on the work leads you to see connections you weren’t necessarily conscious of previously. In any case, an up-to-date list of these reviews, blogs, and features, including an interview with Shara and myself conducted by Venus Zine, is on the Press page of this site. A few weeks ago we released a video for the track “The Lotus Eaters,” shot by the visionary Murat Eyuboglu, which was premiered by the folks at indie favorite My Old Kentucky Blog. I will post about this soon, with some Fun Facts and behind-the-scenes photos from the shoot, where dear Shara was 7+ months pregnant and an incredible trouper. You can watch the video on the Audio/Video page of this site. A new Penelope show has been added! On April 9 you can catch excerpts from the work at The Kitchen in NYC, where Shara will perform an arrangement with the amazing ensemble ACME as part of the 21C Liederabend Festival, which we’re looking forward to very much. Other Penelope shows are in the works; all details to come on the Performances page. Penelope (and related) shows announced. Very excited to announce that the Penelope Record Release Concert, featuring Shara Worden and the outrageously talented yMusic ensemble, will take place at New York’s (Le) Poisson Rouge on October 18, 2010. The show will also feature a set by yMusic with a new piece of mine written for the group, along with works by Judd Greenstein, Annie Clark (St. Vincent), Sufjan Stevens, and others. The show starts at 7 pm sharp, so don’t forget to be an early bird! There will be a lovely New Amsterdam-sponsored afterparty following the show, so the mirth and merriment won’t end too soon. There are some other exciting performances of Penelope and related endeavors on the horizon. Next May, that awesome Midwest beacon of forward-thinking art and performance, Minneapolis’s The Southern Theater, will present two evenings of performance by Shara Worden and yMusic that will feature excerpts of Penelope as well as a new work of mine for Shara and yMusic jointly commissioned by Merkin Hall and the Southern Theater. Also featured will be a gorgeous new song cycle written by Shara for yMusic entitled Letters from Charles. In related news, New York’s Merkin Hall will feature an evening of my work with yMusic and a special guest, TBA, in early March. And there are other Penelope performances in the works for next spring. In still other related news, Ellen McLaughlin will be performing the music-theater version of Penelope in some exciting venues around the country. All details to come. Posted in Uncategorized | Comments Off on Penelope (and related) shows announced. Michael, Lawson, and Sarah. Penelope is MIXED. At long last, Penelope is ready to print. Mastering the album took a bit longer than expected because, as it turns out, mastering a record for voice, orchestra, drums, guitars, and electronics is not so easy. Particularly when the music is not clearly of one genre or another. Do you master it like a pop record, so everything has roughly the same sonic punch, or do you master it like a classical record, so that details of intricate contrapuntal passages aren’t lost? (It’s hard to do both at the same time.) Our mastering engineer, the superb Tatsuya Sato of Sterling Sound (one of the best mastering houses in New York), felt strongly that we not sacrifice compositional detail for the sake of making every moment of the album as loud as other records we felt Penelope bore spiritual kinship to. So the result is that the record is on the “quieter” side, with a large dynamic range, which is something that should make the folks fighting the good fight over at the loudness wars (did you know there was such a war? or that there werenon-profits and other non-profits dedicated to fighting compression and volume inflation?!) happy. Penelope the album releases October 2010! Precise release date and info about the NYC record release show coming soon… as well as information on the upcoming video for “The Lotus Eaters,” directed by the magnificent Murat Eyuboglu. Posted in Uncategorized | Comments Off on Penelope Mastered! Welcome to the new website for the Penelope song cycle. Please check back soon for more news.